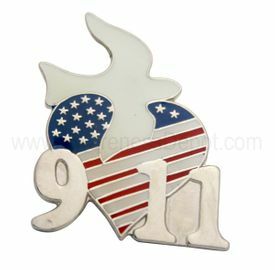 Features a beautiful dove flying over a heart with a flag pattern and the numbers 9/11. A lovely way to remember all those who sacrificed all on that day. 9/11/01 will not be forgotten.